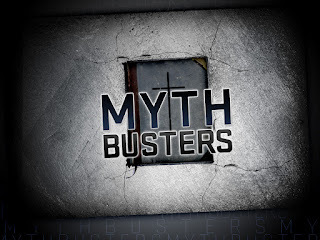 So over the last few weeks we have been looking at some commonly held myths about Christianity and just like on the show myth busters we put them to the test. What is a myth? The well regarded Dictionary.com tells us that a myth is a traditional or legendary story, usually concerning some being or hero or event, with or without a determinable basis of fact or a natural explanation, especially one that is concerned with deities or demigods and explains some practice, rite, or phenomenon of nature. We have adapted this words and created another phrase called the urban legend. These are ideas that have grown from a grain of truth into something that is unbelievable, but we tell the stories because we love the idea of something larger than life. When it comes to religion there are a lot of myths out there. There are lots of things that people believe that simply aren’t true. 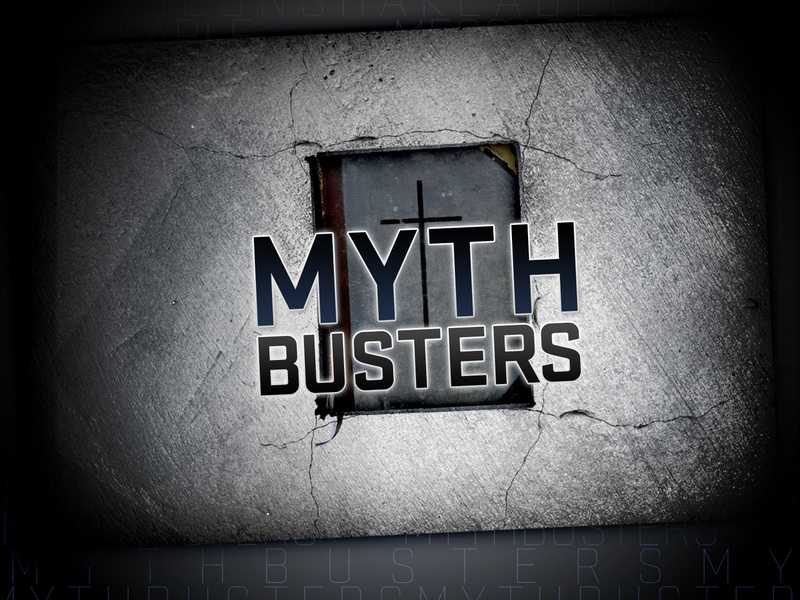 Next week we will be discussing several of the myths about God but don’t let me get ahead of myself. This week we will be looking at a myth that hits us right in our comfort zones. The myth that I will be discussing this morning is the myth that God wants me happy. I say that this myth strikes at our comfort zones as Americans our happiness is paramount. It Is even in our founding documents. “We hold these truths to be self-evident, that all men are created equal, that they are endowed by their Creator with certain unalienable Rights, that among these are Life, Liberty and the pursuit of Happiness.” Now I know that happiness in that context is different than how we view it now. At a fundamental level happiness is important to us. You’ll hear in on Christian TV, in books, even in sermons. It is a message that feels very good. It seems right. God wants me happy. God has good things in for you. God wants you to enjoy your life, to prosper in every way. The problem with a theology like this is that it elevates us to a place where God is serving us. This is where the idea of a celestial Santa Claus comes from and if he doesn’t deliver than we are mad at Him. This idea is not new though. In Paul’s second letter to Timothy he says this, “For the time will come when men will not put up with sound doctrine. Instead, to suit their own desires, they will gather around them a great number of teachers to say what their itching ears want to hear. They will turn their ears away from the truth and turn aside to myths.” The truth is that God is a good God. He loves to give good gifts to His children. We however are not here to be served by God. We are here to serve Him. We started to teach our girls the catechism for young children. The first 3 questions are the ones that stick out to me. The first is, Who Made You. The answer, of course, is God. The second is, what else did God make? That answer is that God made all things. The third question is, why did God make you and all things? This answer is at the crux of what I plan to share with you today. It is the counter to the church of individual happiness. Why did God make everything? He made everything for His Glory. It is not about our individual happiness. It is about His Glory and His Kingdom. The truth is that we serve God not the other way around. God has called us to be Holy as He is Holy. Peter writes this in 1 Peter 1:15-16, “But just as he who called you is holy, so be holy in all you do; for it is written: “Be holy, because I am holy.” God knows that our happiness will not lead us to be like him. We will do things that are the opposite of God’s Word. Take a look at marriage. We no longer feel that we need to be faithful to one spouse. As singles we have these desires that God gave us. He wants me to be happy, right? But sinful happiness is not what God is calling us to. God knows that happiness is fleeting. It is based on circumstances. If everything falls into place than I am happy, but let one thing be out of place. Now the pouting starts. So here is a situation that is not one that would bring you happiness, being in prison. There is nothing happy about being in prison. I think that this is something that we can all understand. Whether you have ever been involved with a prison ministry, been to prison or visited someone there. Nothing about it brings a smile. But here is Paul saying that he has learned to be content. What is this secret? God uses temptations to teach us obedience. Jesus said in John 14:15, “if you love me you will obey what I command.” That is a hard teaching. Especially today because this is time we are living in. Temptation screams out of every set of ear buds, every billboard, every TV, every screen we watch or carry. It pulls us in and doesn’t want to let go. God know that we will be tempted. Take a look in 1 Corinthians 10:13 where it says, “No temptation has seized you except what is common to man. And God is faithful; he will not let you be tempted beyond what you can bear. But when you are tempted, he will also provide a way out so that you can stand up under it.” What is more important to you? Loving your Lord and Savior or what is calling you? God uses trespasses to teach us to forgive. In Ephesians 4:32, “Be kind and compassionate to one another, forgiving each other, just as in Christ God forgave you.” Again another hard teaching, is God referring to that guy who cut me off in traffic? What about the person who stole from me? What about the person who ridicules me because I follow Christ, calls me a bigot or attacks me physically for my faith? It is in those situations that I can be truly content. In Matthew 5:11 it says, “Blessed are you when people insult you, persecute you and falsely say all kinds of evil against you because of me.” The greek word translated to blessed, Makarios, means More than Happy. God suffered for the sake of the message. How much more so will we? How do we begin to increase our appetite for God’s holiness and grow in contentment? How do we go after everything that God has for us? Here are a few ways you can impact your environment. Cultivate the purpose within you. There is a race that we all must run. We need to run OUR race and run it to win. Paul explained this to the Ephesians leaders as he left them in Acts 20:24, “However, I consider my life worth nothing to me, if only I may finish the race and complete the task the Lord Jesus has given me–the task of testifying to the gospel of God's grace. Find the purpose that God has put in front of us all. Nothing satisfies, not money, success, fame. Only what we do for Christ will last. I will leave you with a question that I asked the men during our Men’s Retreat last week. If nothing changes in your situation or it gets worse, is God Enough?